After three successful editions of Drawing Room Madrid, the first calling of Drawing Room Lisboa will take place from Wednesday 10 to Sunday 14 October 2018 in the magnificent space of the Sociedade Nacional de Belas Artes, located in the center of the Portuguese capital, next to Avenida da Liberdade. Drawing Room Lisboa is a curated project focused on contemporary drawing and the medium of paper who invites 20 international galleries to present to most significant, challenging and innovative artworks from their artists. Collectors, professionals and art lovers are invited to discover the contemporary artistic scene through the projects of about 50 international established or emerging artists selected by a curatorial committee. The first and only Portuguese specialized art fair, Drawing Room Lisboa will allow the public to discover the richness and current relevance of the practice of contemporary drawing. Here, the new generation of artists who have made drawing their privileged medium meets with the undeniable devotion for drawing of the great masters. Adriana Molder, Ángeles Agrela, Cecilia Costa, Emmanuel Lafont, Gonzalo Elvira, Hanns Schimansky, Irene González, Jorge Martins, José Bechara, José Loureiro, Klaas Vanhee, Laurina Paperina, Luis Nobre, Marcos Pires, Miguel Palma, Nuno Henrique, Paulo Lisboa, Pedro AH Paixão, Pedro Cabrita Reis, Pedro Gomes and Rui Moreira, will be part of the fifty artists that make up a selection characterized by diversity, both generational and national. This selection is supported by the Drawing Room Lisbon Advisory Committee, composed by Elsy Lahner, Curator of Contemporary Art at the Albertina Museum (Vienna); Immaculate Corcho, Director of the ABC Drawing Museum (Madrid) and Manuel Navacerrada, collector. Parallel program of the fair presents an exhibition from the main drawing core of Colecção de Arte Contemporânea da Fundação Portugal Telecom - Altice and Millennium Talks, a series of talks supported by the Fundação Millennium bcp, dedicated to collecting contemporary drawing. 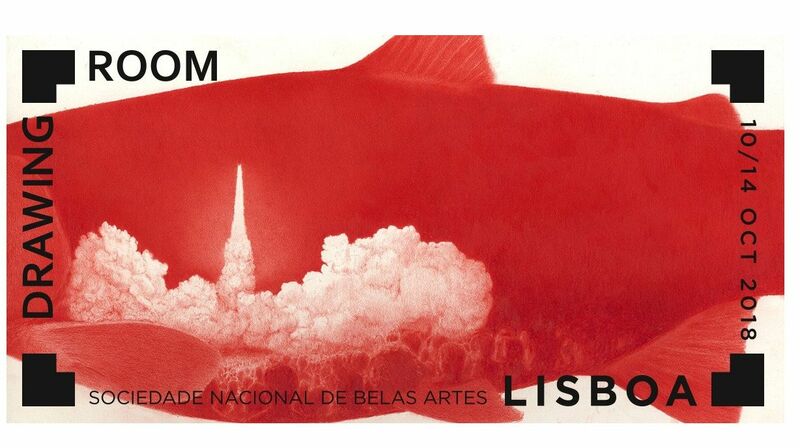 Drawing Room Lisbon is committed to the solo-projects and the reinvention of the drawing produced by the new generations of artists, to which the Portuguese Vizarco Pencil Factory offers an artistic residency prize. In this phase we can highlight very relevant participations such as the tripartite proposal of the Lisbon Gallery by Miguel Nabinho for Drawing Room, which includes unpublished works by three renowned Portuguese artists: Pedro Cabrita Reis (1956, Lisbon) whose complex work transits through a multiplicity of media, including the drawing that uses graffiti and pastel/crayon, Ana Jotta (1946, Lisbon) and Luisa Cunha (1949, Lisbon). The presence of Pedro A. H. Paixão (born 1971, Lobito, Angola), winner of the first Prémio Navigator Arte em Papel, will be very significant for the fair. The artist, represented in Portugal by Gallery 111, will show his work jointly with Pedro Vaz (1977, Maputo, Mozambique), who has been developing a very particular work that starts on painting in the direction of drawing and vice versa, and Joana Fervença (1988, Lisbon), emerging artist that the historical gallery founded by Manuel de Brito also decided to stand out from a group of more established artists. The Modulo proposal also focus on the reinvention of the classic drawing produced by the new generations of artists like: Nuno Gil (1983, Lisbon), Nuno Henrique (1982, Funchal) and Pedro Calhau (1983, Évora). Another sign of the positive moment for drawing are gallery’s proposals of presenting a single artist, revealing the confidence and solidity with which they work the medium of the drawing and its possibilities. The stands with solo-projects made specifically for the fair are signed by the artists: Adriana Molder (1975, Lisbon) who participates with the Greek gallery Donopoulos International Fine Arts of Thessaloniki, Paulo Lisboa (1977, Lisbon) represented by the Gallery Graça Brandão, from Lisbon, and Pedro Gomes (1972, Mozambique) who participates with the Presença Gallery, based in Porto. Drawing as a transversal and common language is another of the lines that guided the selection of artists for Drawing Room Lisbon, materialized in the crossroads of generations of established and emerging artists, as we can see on the Pedro Oliveira Gallery proposal that presents five artists: Fernando Marques de Oliveira (1947, Porto), Cecília Costa (1971, Caldas da Rainha), Joana Pimentel (1971, Porto), Marco Pires (1977, Alcobaça) and Vera Mota (1982, Porto). The options and the different types of work around drawing, whether based on reality, literary or cinematographic fictions or producing poetic imaginaries, is the proposal of the Carlos Carvalho Arte Contemporânea gallery that presents works of Ricardo Angélico (1973, Cuíto, Angola), José Bechara (1971, Rio de Janeiro, Brazil) and Luís Nobre (1971, Lisbon). Example of how the use of drawing is common in very different practices is evident in the meeting of artists: José Loureiro (n.1961, Mangualde), Maria José Cavaco (1967, Ponta Delgada) and Miguel Palma (1964, Lisbon), that Fátima Macedo, gallery established in Ponta Delgada, Azores, titled Dialogues. Another example of crossing of generations and nationalities is being shown by the historical Parisian gallery Jeanne Bucher Jaeger, which gathers several selected works of historical Jean Dubuffet (1901, Le Havre, France - 1985, Paris, France), German artist Hanns Schimansky (1949, Bitterfeld, Germany) and one of the Portuguese artists represented by the gallery, Rui Moreira (1971, Porto). The open field for contemporary drawing is an international phenomenon. Sign of this recognition is, on the one hand, the participation of Portuguese artists: Adriana Molder (Donopoulos, Thessaloniki), João Felino (Rosalux, Berlin), Martinho Costa (Silvestre, Madrid), by foreign galleries and, on the other hand, the participation of Spanish galleries with artists of different nationalities: Yusto/Gíner, Marbella, presents Emmanuel Lafont (1980, Buenos Aires, Argentina), Silvestre, Madrid, Klaas Vanhee (1982, Mechelen, Belgium), and Siboney, Santander, Gonzalo Elvira (1971, Patagonia, Argentina). Emilio González Sainz (1961, Torrelavega), Irene González (1988, Málaga) and Ángeles Agrela (1966, Úbeda, Jaén) are some of the selected Spanish artists. Drawing Room Lisbon, the Portuguese version of Drawing Room Madrid, accompanies the trend of art fairs specialized in drawing that has manifested itself in the main international capitals, such as Drawing Now in Paris, Paper Positions in Berlin and Basel, Wopart in Lugano or Art on Paper in Brussels. According to Maria do Mar Fazenda, artistic director, "the great adhesion of Portuguese and foreign galleries is a sign of the recurrence of drawing in contemporary artistic practice. They present proposals for individual projects produced specifically for the stands of the fair or small proposals that call for dialogue between artists, crossing generations and established careers with emerging artists, under the mutual intent of drawing ". Among the parallel activities that will be hosted by the National Society of Belas Artes there is an exhibition that will present the core of drawing of the Collection of Contemporary Art of Fundação Portugal Telecom - Altice, which materializes the social responsibility of Altice Portugal, curated by Monica Álvarez Careaga, director of the fair, and Mónica Constantino, responsible for management and curating of the Colecção de Arte Contemporânea da Fundação PT. A program of talks dedicated to the collection of contemporary drawing called Millennium. Talks will also be taking place, organized by Verónica de Mello and supported by the Fundação Millennium bcp. The fair also presents and editorial space dedicated to drawing, by Filipa Valladares, of STET, and a corner of the Portuguese Pencil Factory Viarco, sponsor of the Award- Drawing Room Lisbon & Viarco new talent, which includes an artistic residence in São João da Madeira.